A large proportion of young people in Britain are interested in working in the food and farming industry, but job security and work/life balance are key requirements to achieve a happy career. These are the headline findings of an industry-backed Farmers Guardian survey of 16- to 35-year-olds across the UK, which sheds light on what young people really want from their careers and what could attract new talent into the agricultural sector. Of almost 1,800 respondents, 59 per cent said they were interested in a career in the agro-industries. 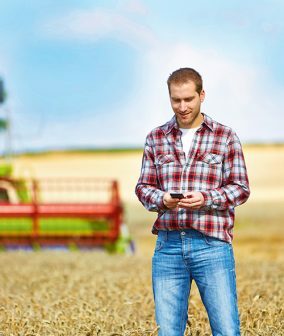 However, the survey highlighted a lack of understanding around the opportunities the sector can offer, with only 5 per cent of respondents recognising there were engineering- or science-related careers available within the agricultural industry and only 7 per cent making the connection between agriculture and environmental careers. 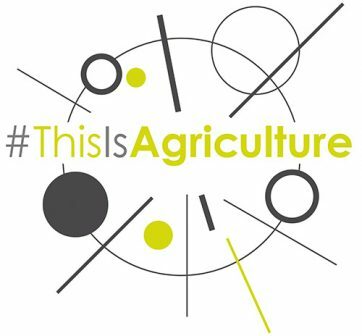 Farmers Guardian has joined forces with 19 key industry stakeholders from across the farming sector to launch a new campaign, #ThisIsAgriculture, to promote careers in agriculture. Building on the learning from the #ThisIsAgriculture survey *, this initiative will work to educate those who have previously not considered the sector about the wealth of opportunities available within the sector, as well as dispelling common myths synonymous with careers in agriculture. The campaign is collaborating with industry bodies and our industry partners to identify ways of supporting existing initiatives to help shape the political agenda, drive educational reform and provide learning resources to raise awareness of an exciting and dynamic industry. Caroline Drummond, chief executive of Linking Environment and Farming (LEAF), said: “There is a stigma with agriculture which does not reflect what the food, farming and rural industries deliver. Asked about the criteria on which they based their job selection, 98 per cent said they rated job security and a fun or pleasant working environment essential, very or quite important. Achieving a good work/life balance came out at 94 per cent. All three criteria ranked well ahead of ‘high income’, which surprisingly came seventh on the list, behind opportunity, helping others and location. Drilling down further into salary expectations, just more than half (54 per cent) said they expected to earn £20,000-£25,000 or less by the age of 26. They also indicated they wanted to see jobs in agriculture offer career development. The opportunity for career progression was cited as either an essential requirement or very important by 70 per cent of respondents to the survey.